This hand crafted vase is an original design. 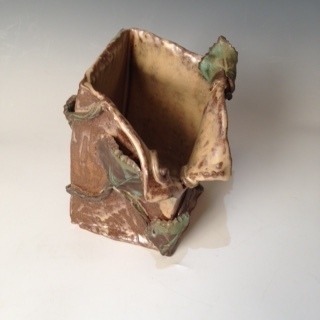 Our Master potter formed this piece by hand with the finest stoneware. Created to last for generations. It measures 11 inches tall and 7 inches across the bottom.